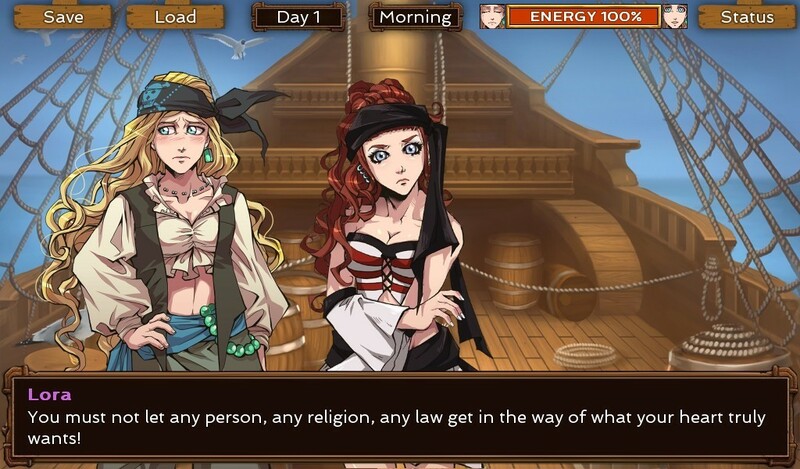 Despite being buried in snow and recovering from a flu, this week still managed to finish the beta version of Heileen 3: Sea Maidens, the yuri version of Heileen 3. Note that the new downloads contains both the otome and yuri versions, similarly to what happens for Spirited Heart. Also there are new scenes for the otome version too. I will post the Joshua sneak peek as soon as artist finishes the last CG scene, Joshua/Cliff 😉 but rest assured that they’re very good too. Meanwhile the coding and design for the new RPG framework continues, and next week I might officially announce a new RPG game… stay tuned. This entry was posted in beta demo, heileen, planet stronghold 2, sneak peek. Bookmark the permalink.